The Apostle Paul knew who he was and more importantly, whose he was. Confident in his calling, he was able to accomplish the purposes of God, for the glory of God, sewing seeds of the Gospel. When we mirror his humility, confidence, and heart for God, we find ourselves walking securely in our true identity and upright in our purpose. In this book, you and I will talk about what God has done for us, who we are in Christ, and why it doesn’t stop there. We will talk about the depth of why our salvation is only the start of what the Father has planned for us in the rest of our journey here on earth. What we achieve for the Kingdom of God starts with our identity in Christ! Get your free sample chapter here! 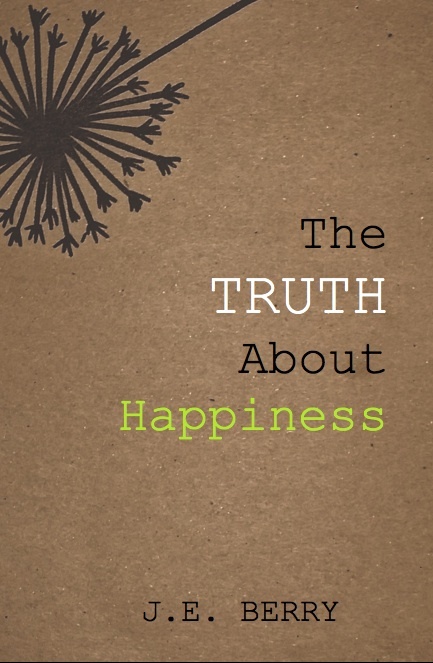 The Truth About Happiness Journal, is a perfect companion to The Truth About Happiness Book by J.E. Berry, also available on Amazon and Kindle. This journal has Scripture, Prayer, and encouraging outtakes from the book. The great dream of the world. To be “HAPPY”. But what does that even look like in our eyes? Do we have a true grasp on what that means or even how we draw it from the source? Most of us have started off with a false perception of what happiness is. Rather a believer or not. In a world struggling to define and understand what happiness looks like, The Truth About Happiness comes as a cool breeze where there seems to be little air to breathe at all. Offering clarity on the topic of happiness through biblical truths and encouragement to help readers carry out those truths. Addressing practical struggles, such as suffering, choices and perception, with practical scripture text to produce spiritual growth, discovery, and personal Bible study. The Truth About Happiness is a personal journey for each reader. Each chapter focuses on areas that can keep us from experiencing the fullness of joy in Christ while offering encouragement and hope through Scriptural truth. Each chapter also includes a personal reflection and challenge for readers. The author offers an honest look at real life topics while challenging readers to actively weed out the hindering seeds deep within and walk with Christ toward a life He has designed for them.